Conde Nast Traveller (UK) pays a 10-page tribute to the Greek island of Patmos in its September issue as well as its online edition. 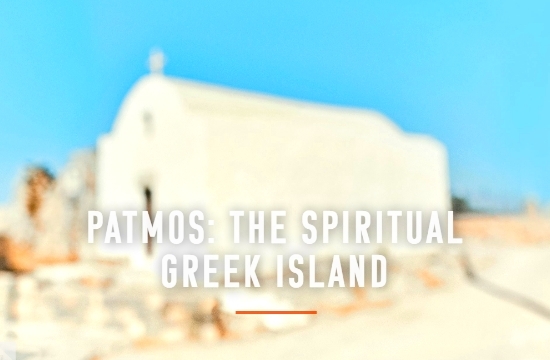 The leading travel magazine notes that "steeped in mystery, the Greek island of Patmos is where John the Apostle wrote the Book of Revelation. Centuries later, its deserted beaches and labyrinthine streets remain as enigmatic as ever." The article also underlines that "perhaps everyone has their place or terrain, the one that lifts them in ways others cannot - Manhattan, the Atlas Mountains, Wembley Stadium, shopping malls in Singapore. Places that provoke anticipation and excitement in particular individuals in the way that food provokes salivary glands, or even that delight in existence itself for which we have no precise word but in Sanskrit is called ananda. For me, it's the small, more remote Greek islands. It's the white, silent villages, the fig and olive groves, the deep nautical blue of the Aegean that other seas seem not to possess, goat paths through a burnt, timeless landscape, the faces of fishermen, aromatic cloud banks of jasmine and wild thyme, skin taking on a glow of radiance and promise, wine in the sunshine, isolated coves, beach tavernas, vivid light moving through delicate, curative air. PATMOS has all this and one other singular element emanating through the centuries from an apocalyptic vision recorded in a cave here at the end of the first century AD"